It's official. 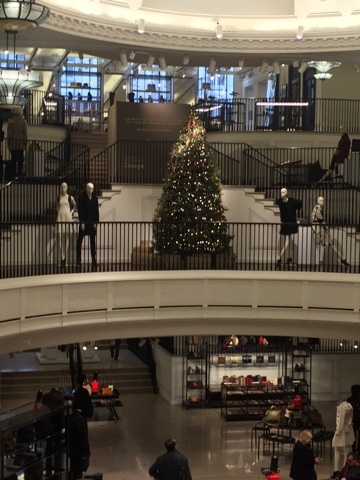 Burberry on Regent Street is the most amazing place on Earth. 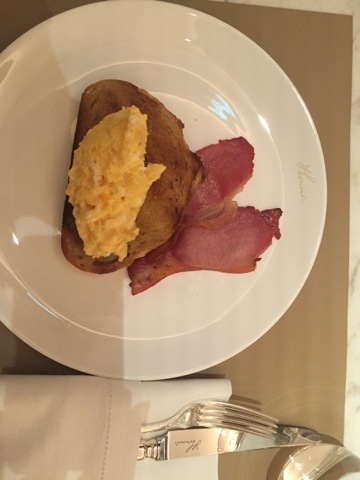 Forget Breakfast at Tiffany's, these days it's all about breakfast at Burberry. 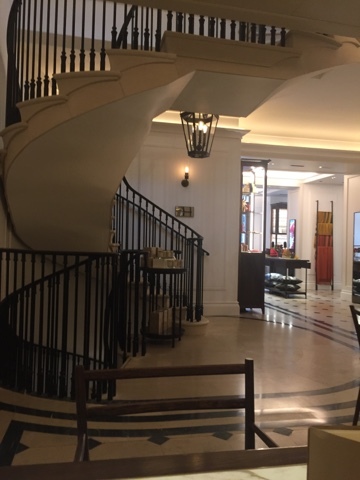 The Regent Street store is the flagship store, only made better by the fact that it now houses its own restaurant, Thomas's, for breakfast, lunch, afternoon tea and fine dining. 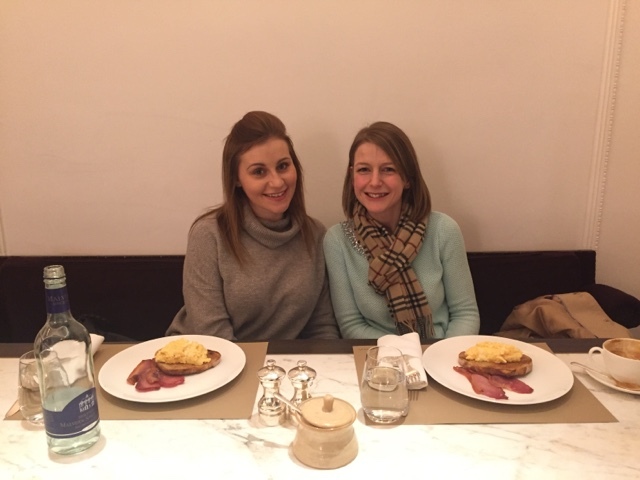 The chance of waking up in London, throwing on my Burberry scarf and having breakfast in one of my favourite fashion houses was too exciting to pass up, so that's exactly what we did! We booked breakfast for 1030am and were shown straight to our table on arrival. Thomas's is typically British. It's chic, neutral yet classy and wonderfully inviting. 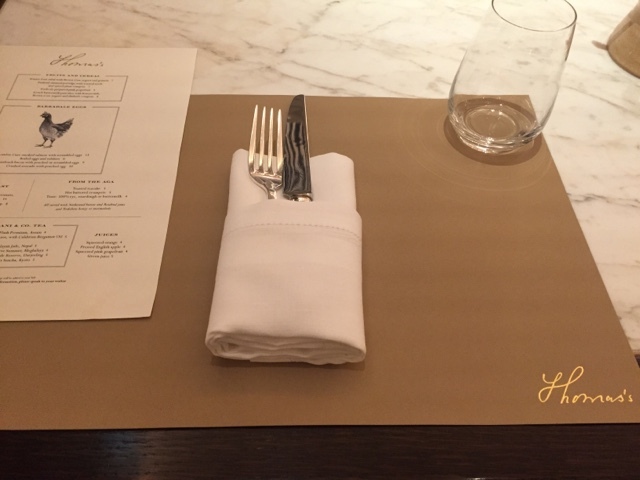 It houses a Burberry scarf bar too, so you can monogram whilst you munch if you so wish! Sadly I wasn't scarf shopping, but enjoyed an amazing latte and the most delicious scrambled eggs, toast and bacon I've ever tasted! Natalie ordered the same, although she opted for water. 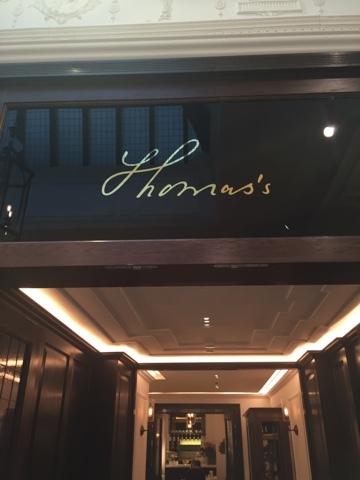 The food and service were both exceptional; I'd recommend eating at Thomas's to anyone. 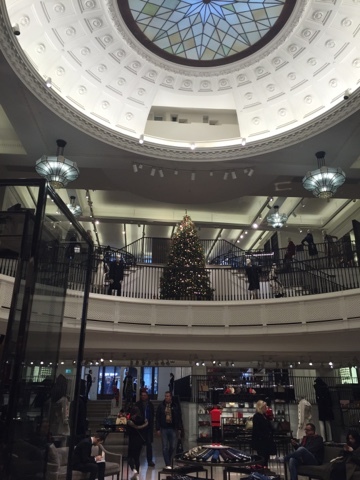 After eating, we spent an hour wandering around the store, it's amazing! 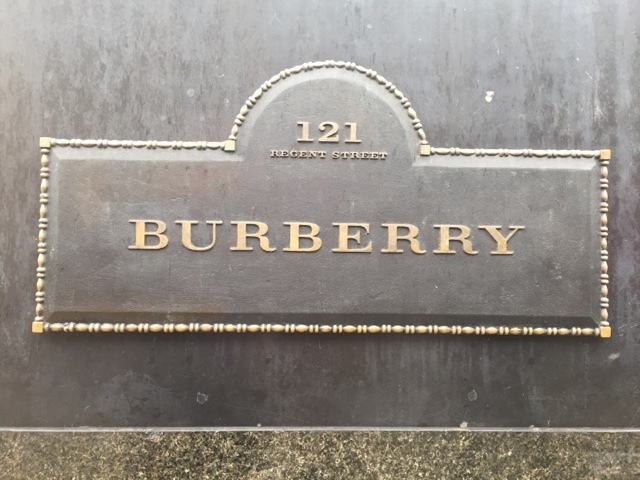 My Burberry wish list was slowly expanding before my eyes! Still lusting after the elusive trench coat, I've now added a handbag, a teddy bear keyring, a scarf and about 3678462 items of clothing to my list-a girl can dream!! 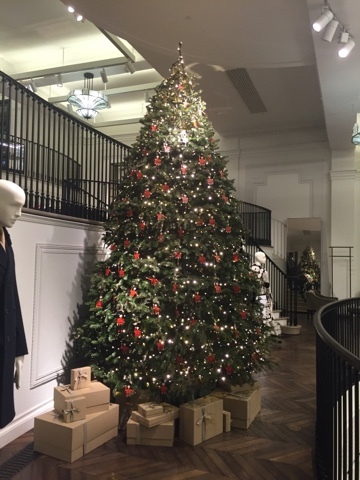 The Christmas tree in store is one of the best that I saw in London-I'd certainly love a Burberry tree at home! 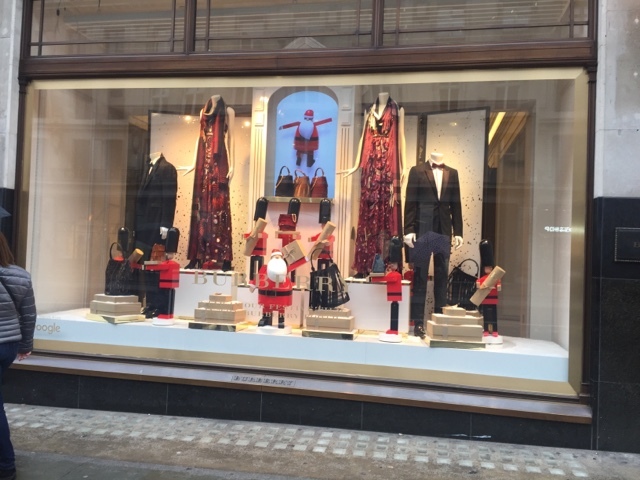 Whilst at Burberry, we also took part in the Burberry Festive film, which was so much fun! You can see our result here. It was great to be able to don a scarf and virtually brush shoulders with James Bay and Rosie! The perfect Christmas wish list for a Coco lover at Covent Garden! Next stop was South Kensington to visit the beautiful V & A for the Shoes: Pleasure and Pain exhibition. At only £12 a ticket, and on for another month, it's definitely worth a visit for any shoe lovers out there. Unfortunately photography wasn't allowed, but there's an amazing timeline about all of the shoes featured here to give you more of an insight. I found the documentary really interesting about what goes in to creating such perfect creations; make sure you stay to watch it! 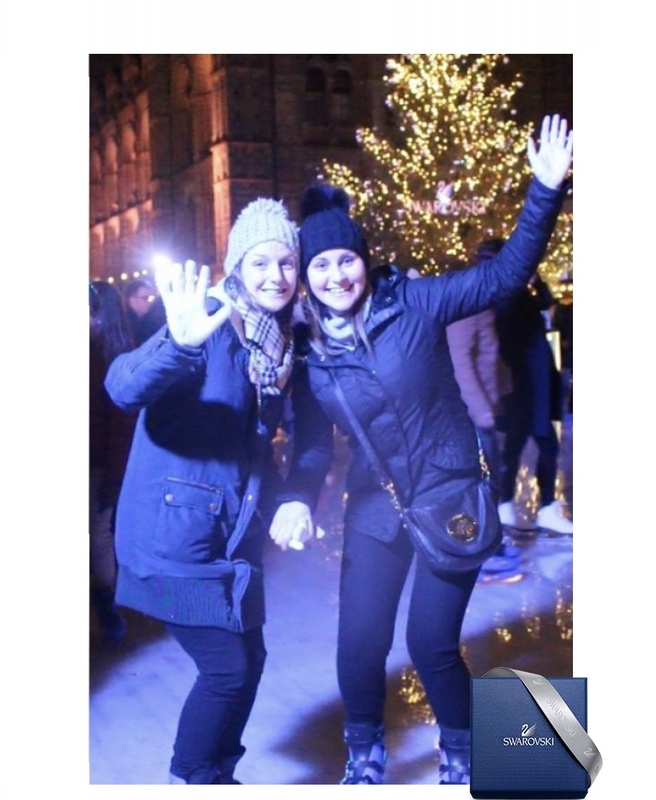 South Kensington is so pretty at Christmas, and also houses the most amazing ice rink at the National History Museum, complete with a Swarovski tree! If you're going to have both a fashionable and festive skating night out, it's definitely the place to go. Ice-skating was on my 'things to do before I hit thirty' list, as I'd never been before, I'm pleased that I waited for the Swarovski skate experience as my first attempt. I'm pleased to report no falling over too-not bad for my first try! From skating, it was back to Covent Garden to see all of the pretty lights and windows before a well-earned tea at Balthazar-it was such an amazing Saturday and the perfect way for a fashion lover like me to welcome the arrival of the big 3-0! 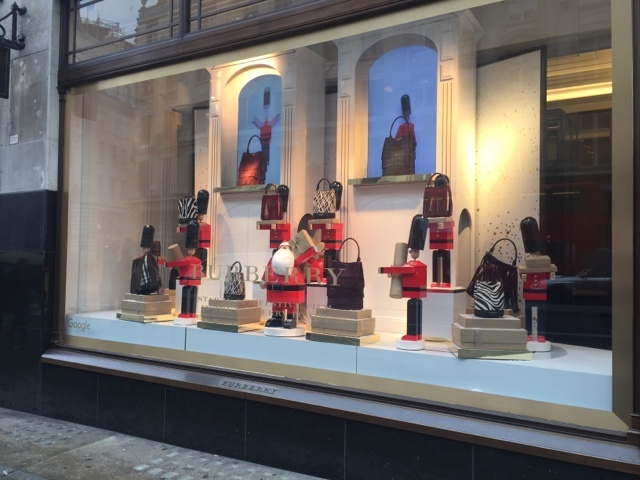 More shoes at Melissa-a mini shoe exhibition at the store in Covent Garden! Thanks for reading, I hope you all had a wonderful Christmas! Wow, that is quite some day! 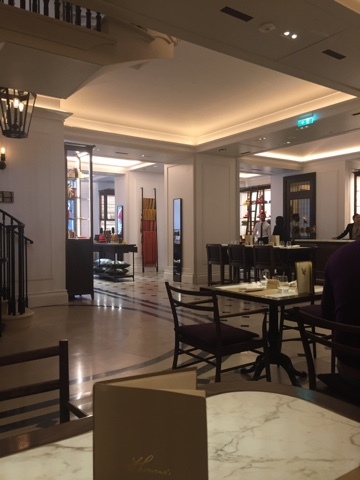 The breakfast at Burberry looks fantastic, I didn't even know they have a restaurant! Very impressed you managed to stay upright on your skates. I went to a roller rink a few times as a kid and was awful so I'm far too much of a wuss to even attempt the ice!